I had the pleasure of visiting Handmade at Kew this week, an exciting event in the beautiful Royal Botanic Gardens which features work from over 150 international and UK-based contemporary artists showcasing gorgeous textiles, jewellery, ceramics, glass and furniture. The talent this year is extraordinary. 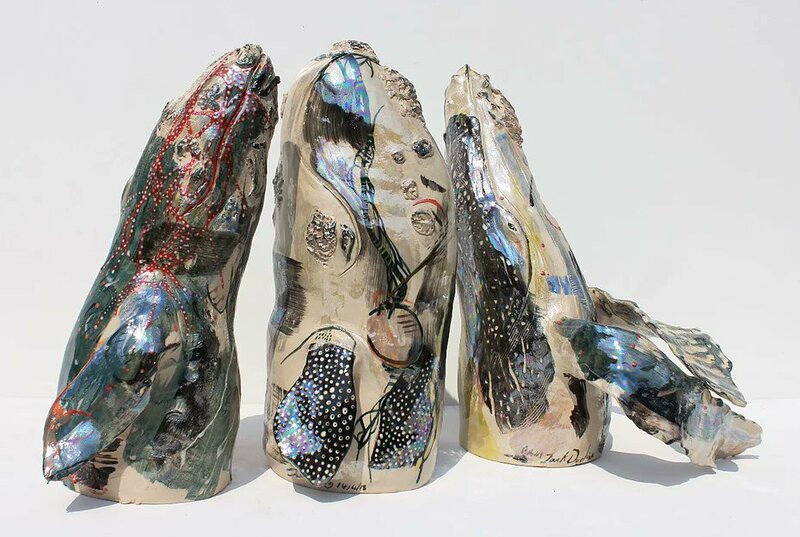 Exhibitors include DFF alumnus, Jack Durling who is showing a selection of his ceramics and paintings. His work just gets better and better and his latest collection, Adrift, is stunning.